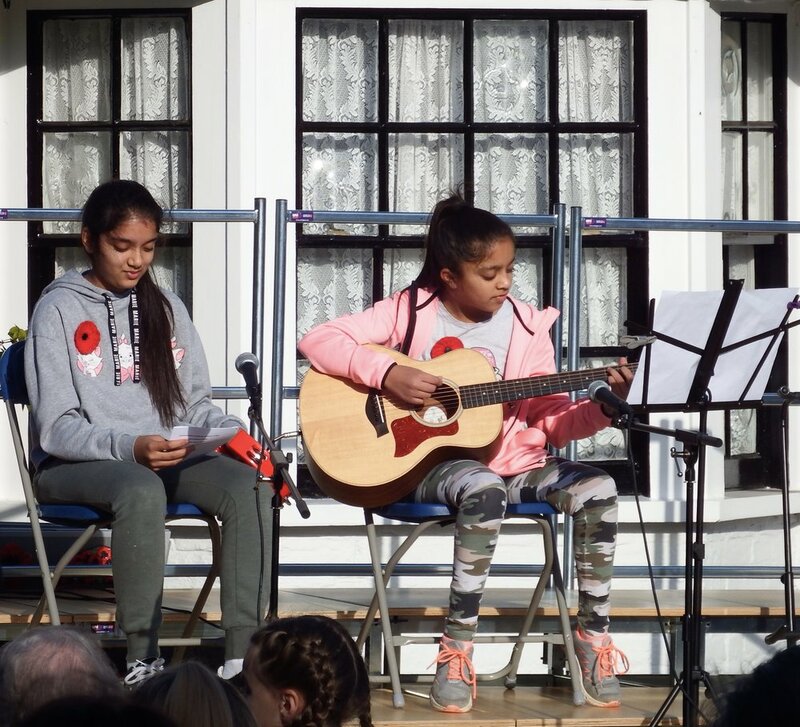 Residents from the Heathrow villages came into Harmondsworth to commemorate the 100th anniversary of the end of World War 1 with a special event following a church service in St Mary’s Church. The contribution and sacrifice made by the village of Harmondsworth in WW1 was outstanding. Virtually all the young men between 18 and 35 served in the armed forces. Of these, almost a quarter never returned. Ninety-two men were killed and many of those who survived were seriously injured. Their names are to be found on the war memorial in the back of the Church. 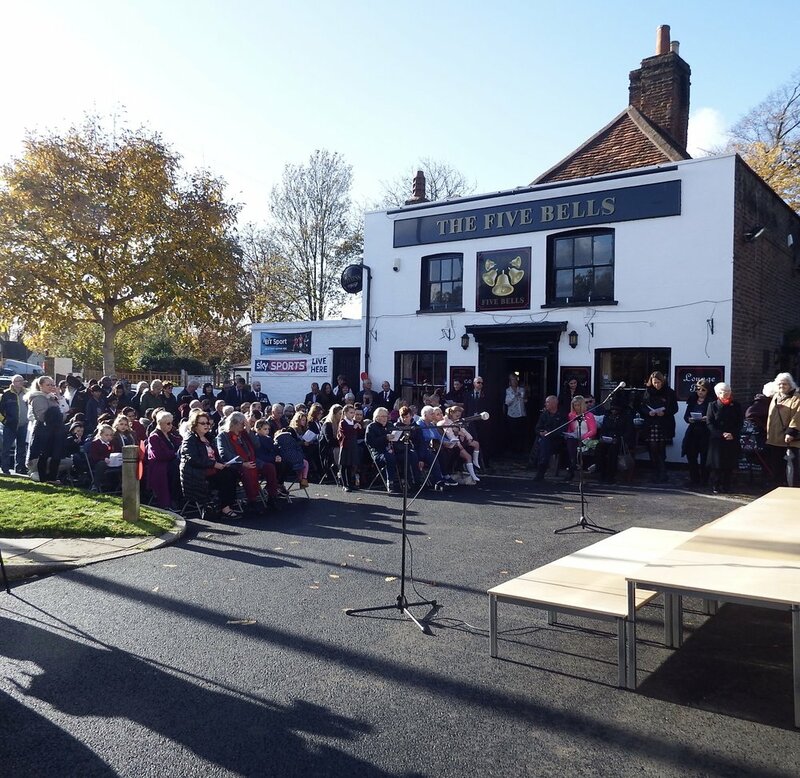 Roy Barwick, whose family have lived in the village for generations, organised an commemoration event in September and reminded residents that many of the people living in the village have a family connection to these men. Performance by two sisters who live in the village.